KITZBUEHEL, Austria — Italian skier Matteo Marsaglia took advantage of changing weather conditions Thursday to post the fastest time in final training ahead of the classic men's World Cup downhill on the Streif course. Wearing bib No. 54, Marsaglia had better visibility than the early starters as clouds were moving. He edged Brice Roger of France by 0.01 seconds and Vincent Kriechmayr of Austria by 0.16 after a shortened run. "I am quite surprised," said Marsaglia, who returned this season from a 21-month injury break. 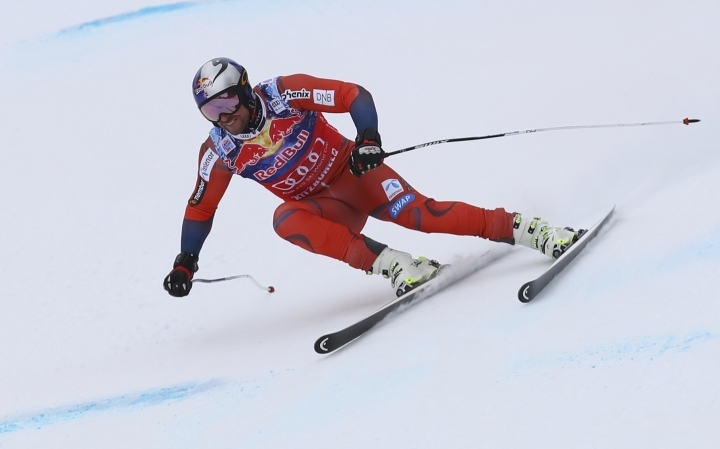 The 32-year-old Italian hurt his hip in a super-G crash on the Olympic hill in South Korea in February 2016. Working on his comeback, he ruptured his ACL in offseason training in Chile seven months later. "Now I restart slowly, the feeling is coming back," said Marsaglia, who failed to score World Cup points in his seven races this season. He skipped the Wengen downhill last week and competed on the Europa Cup circuit in order to find his rhythm again. The traditional Hahnenkamm races open with a super-G on Friday, followed by the penultimate downhill ahead of the Pyeongchang Olympics on Saturday. A slalom concludes the event on Sunday. Jared Goldberg of the United States was 0.26 seconds behind Marsaglia in fourth place. 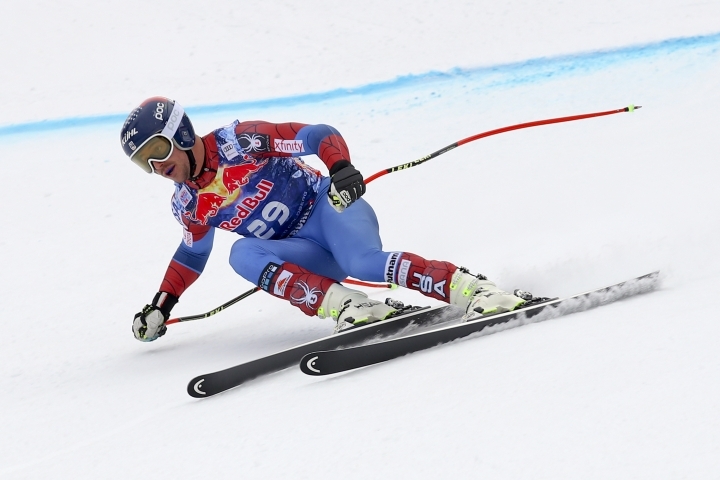 Aksel Lund Svindal of Norway, who leads the downhill standings, was 0.52 seconds behind in 10th. Downhill world champion Beat Feuz of Switzerland and Olympic champion Matthias Mayer of Austria finished outside the top 30. To protect the bottom part of the course after overnight snowfall, racers had to stop before the Hausbergkante, which leads to the steep finish section, reducing run times by half a minute. Training on the entire course was held Tuesday, when Italian racer Christof Innerhofer was the fastest. Heavy snow on Wednesday changed the characteristics of the Streif, regarded one of the most dangerous courses on the World Cup with an 85-percent grade shortly after the start and several far jumps and sharp turns. On some sections in Tuesday's training, racers were more than 10 kph faster than usual while approaching the jumps, sending them not only longer but also higher up in the air. 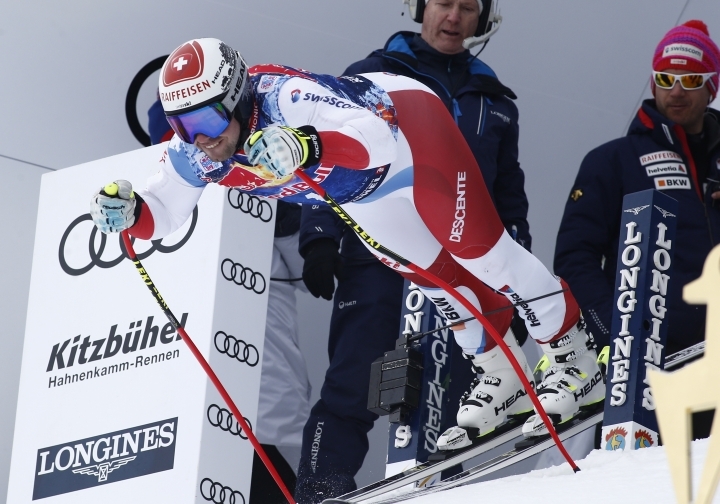 Several racers, including Svindal and Feuz, complained about it, and 2014 Streif winner Hannes Reichelt said he felt "like a ski jumper." They forced organizers to adapt the critical spots and lower the jumps at the Mausefalle and the Alte Schneise. "Everyone was surprised by the high speed in the first training. We couldn't foresee that," FIS race director Markus Waldner said. As fresh snow made the course slower for Thursday's session, the jumps were no longer a problem. Kriechmayr, who was the fastest before the skies cleared, said the training wasn't a good indicator for Saturday's race. "I took more risks than most others, wanted to go the limit," the Austrian said. "But we only used half of the course today and races here are usually decided at the bottom."